After leading the UNC baseball team to the College World Series for the seventh time in the last 13 seasons, head coach Mike Fox and the university have agreed in principle to a deal that will keep Fox in Chapel Hill. His current contract expires on June 30. The Tar Heels have won the ACC Coastal Division in each of the last two seasons, with Fox earning the ACC Coach of the Year award in 2018. Having put 20 seasons under his belt as the head coach at UNC, Fox has firmly established himself as the most successful coach in the program’s storied history. 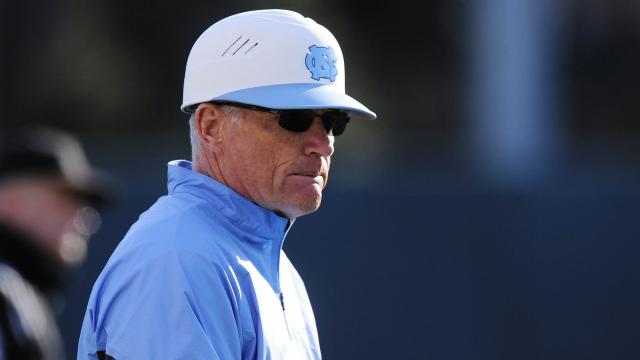 “Mike has done an outstanding job, not only this season with a return trip to Omaha, but for two decades in building one of the top baseball programs in the country,” UNC Director of Athletics Bubba Cunningham said, in a statement released by the school. “He and I have been discussing terms of a new contract over the course of this season, we have agreed in principle, and will work out the details in the near future.